Step 1: Connect your computer by cable to the DSL-320B modem. Step 3: Log in to the modem. Username is admin. Default password is admin. Step 4: As shown in the picture below. Go to Setup and ADSL Setup and there tick Manual Setup. Then tick Bridge Mode. Connection Type should be 1483 Bridged IP LLC. VPI and VCI values are given to your by your internet service provider. 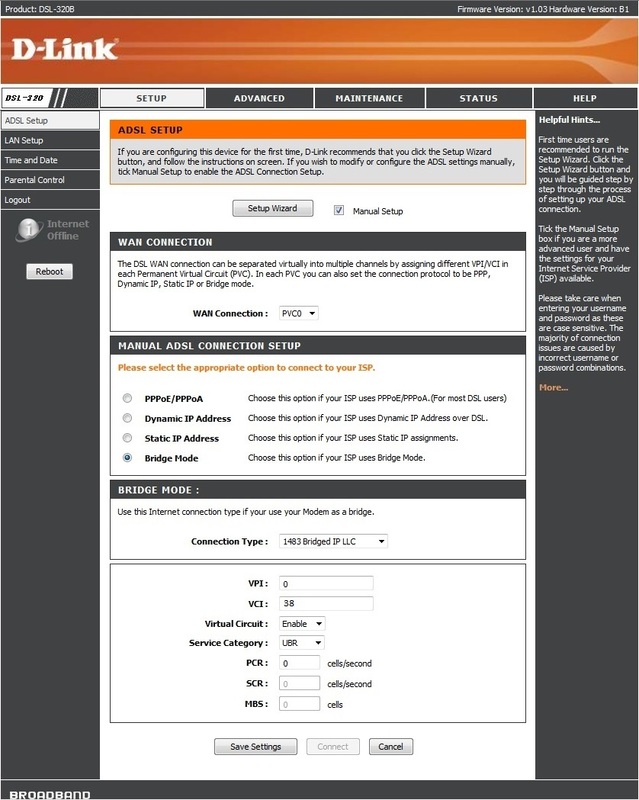 Step 5: Finish the ADSL Setup with Save Settings at the bottom of the page. 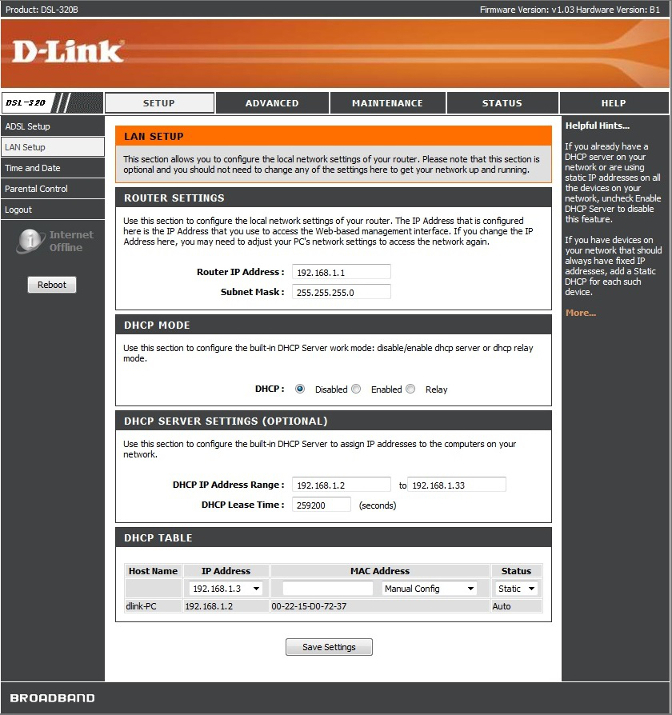 Step 6: Click LAN Setup in the left hand menu. Step 7: In the DHCP MODE section tick the first option. The tick should be left of Disabled. Step 8: Finish this setup with Save Settings at the bottom of the page. The modem is now in Bridge mode and ready to be used with a router or directly connected to a computer. 209 people found this useful.